Lightweight and portable. Handmade with durable materials to last a lifetime and upholstered with the finest fabrics and leather. Designed with the traveling magician in mind, our Shuffle Pad is our smallest, lightest, and most affordable close-up pad. 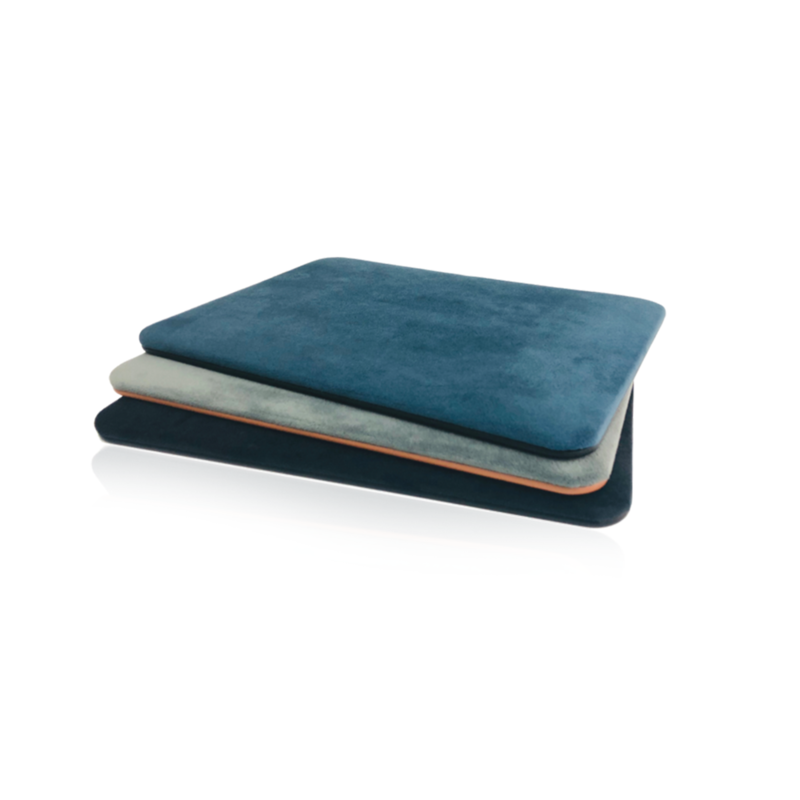 Each pad is hand-wrapped with a smooth textile specially sourced for card magic. Its underside is wrapped in soft leather that may double as an alternate working surface. MEASURES 12 X 8.75 INCHES. AVAILABLE IN 5 COLORWAYS. PLEASE ALLOW 5-7 DAYS AFTER ORDERING FOR MANUFACTURING/PROCESSING.